CNI College announces the Blood and Marrow Drive it will host with St. Joseph Hospital on March 13 at the CNI College campus. This drive is to help Sofia Flores, a 23-month-old AML patient, find a bone marrow match in order to help her combat acute myeloid leukemia, an aggressive form of leukemia. Sofia Flores, 23-month-old AML patient, is searching for a bone marrow match. Our goal this year is for at least 25% of the faculty, staff and students at CNI College to become a bone marrow donor and collect more than 40 pints of blood,” says Claudia Restrepo, HR Manager at CNI. “We also urge all eligible applicants to donate! CNI College, a healthcare career college, announces the Blood and Marrow Drive it will host with St. Joseph Hospital on March 13 at the CNI College campus. This drive is to help Sofia Flores, a 23-month-old AML patient, find a bone marrow match in order to help her combat acute myeloid leukemia, an aggressive form of leukemia. Partly due to her mixed-raced ethnicity, Sofia is half Caucasian and half Mexican; it has been challenging to find her a compatible donor through the Be The Match Registry. 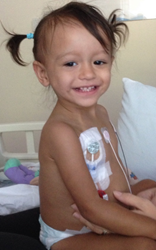 Sofia’s doctors would like her to receive a transplant within the next three months. Without the bone marrow transplant, it is unlikely Sofia will survive. A simple cheek swab helps determine whether a donor is a close bone marrow match for Sofia. The Blood and Marrow Drive at CNI College’s Massage Room will take place from 8:30 a.m. – 2:30 p.m.
To join the marrow registry, applicants must be 18-44 years of age, in good health and willing to donate to any patient. For more information about joining the registry, contact Joyce Valdez at 626-373-4000 or jovaldez(at)coh(dot)org. In addition to the need for a bone marrow match for Sofia, and other patients like her, there is a need for blood donors. According to AABB, it’s estimated that every two seconds someone in the United States needs blood. Although an estimated 38% of the population in the United States is eligible to donate blood, less than 10% actually do so each year. 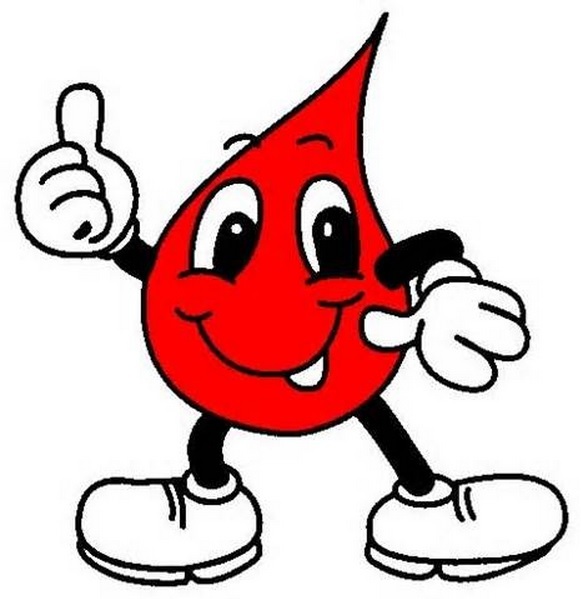 In order to be eligible for donating blood you must be at least 17 years old, weigh at least 110 pounds, bring a picture I.D., have something to eat and drink plenty of non-caffeinated fluids prior to donating, and feel well the day of donation. All blood donors will receive a $5 gift card to In-N-Out. For more information about the Blood and Marrow Drive please contact Claudia Restrepo at 714-437-9697 ext. 323 or crestrepo(at)cnicollege(dot)edu.